Small business owners in the Hawkeye State know how important it is to stay up to date on minimum wage regulations. You want to make sure you’re complying, of course. But staying aware of upcoming changes also lets you better plan for the future of your business. That’s why we put together this quick guide with some key information you need to know about the minimum wage in Iowa. What is the minimum wage in Iowa? The minimum wage in Iowa is $7.25. This is the same as the federal minimum wage, which has not changed since July 2009. Iowa is one of 21 states that follow the federal minimum wage. Iowa employers can pay a new employee who is under 20 years of age a training wage of $4.25 per hour for the first 90 days of employment. Some employers can pay full-time high school or college students 85% of the Iowa minimum wage (or $6.16 per hour) for up to 20 hours of work per week at certain jobs, like work-study programs at universities. Employers can take a tip credit (up to $2.90 per hour) for employees who make more than $30 in tips per month. With a tip credit, employers can pay a lower cash wage of $4.35. However, general wages plus tips must equal at least $7.25 per hour. No, there is currently no legislation being considered at the state level that would raise Iowa’s minimum wage above the federal level. 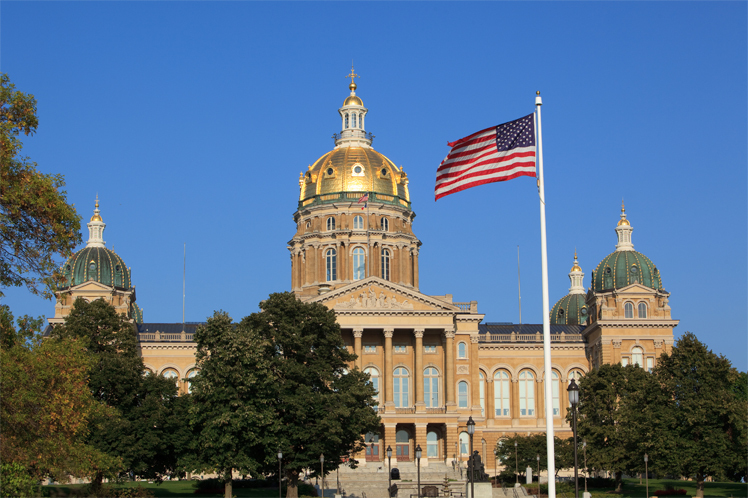 In the last few legislative sessions, Iowa Republicans have used their majorities in both chambers to prevent local governments from raising the minimum wage above the statewide rate of $7.25 an hour. A 2018 report from the National Low Income Housing Coalition highlighted the struggle to find affordable housing experienced by workers earning minimum wage. For example, people would need to work 65 hours a week for a one-bedroom apartment that costs $611 a month. However, it is yet to be seen whether data like this will prompt Iowa lawmakers to increase the minimum wage. How should small business owners prepare for changes to Iowa’s minimum wage? The state’s minimum wage has remained the same for 10 years, and there are no plans to increase it in the near term. However, it’s a good idea to discuss federal minimum wage law with your accountant and lawyer to ensure that you remain in compliance. Hire the best: Hiring the right people is always important, but doubly so when you operate a small business. So take your time and cast a wide net when recruiting new employees. And once you have your team in place, make employee retention a priority by offering employee benefits and a path to growth and development to make your business a more attractive place to work.